How are IoT and additive manufacturing impacting couplings? 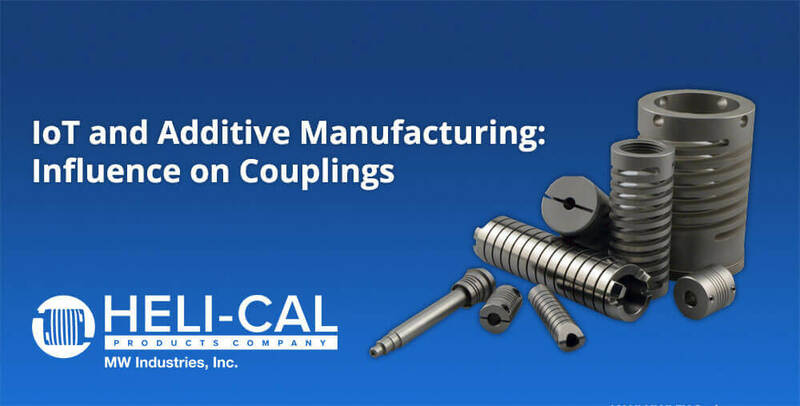 » HHP Associates, Inc.
14 Dec How are IoT and additive manufacturing impacting couplings? I don’t see these methods of automation deployment necessarily changing motion system design as much as increasing the number of opportunities for motion control solutions. As the variety of materials leveraged by additive manufacturing increases, the number of system designs that didn’t have the volume or resources to be built, now become a possibility along with greater affordability of proof of concept hardware. The Industrial Internet of Things (IIoT) has been around for a while (e.g. machine remote access) but together with the Internet of Things making a big splash in consumer products, we’ve entered the era of Big Data, meaning that manufacturers may have more access to direct feedback on their products which in turn may accelerate design improvements in motion design and other areas of a system. Additive manufacturing has opened the door to alternative means of material production. However, the technology has to trickle down from high-end manufacturing—say printing the curve profile of a plane’s fuselage in lieu of machining it out of an entire piece of metal—to other industries using older manufacturing methods that are less costly and still provide good results. Innovative manufacturing practices will pave the way towards any company’s future success. With increasing demands of the US consumer to have products in their hands faster than ever before, an integrated supply chain using new innovative manufacturing practices will pave the way towards any company’s future success. We look forward to what opportunities the internet of things and additive manufacturing brings to us in the future.